Thursday’s NFL Preseason action was kind of important for fans of the Miami Dolphins. Their contest against the Baltimore Ravens was about as big as a preseason game can get. Why? Well—because fans were going to get their first look at the Jay Cutler-led Miami Dolphins. Matt Moore is a capable back-up, but he is not the kind of guy you want behind center for an entire 16-game season—which, of course, is why the Dolphins paid Cutler $10 million to come out of retirement. But Cutler? Really? Couldn’t they do better than him? At this time of year, there are not a ton of quality quarterbacks sitting at home waiting for a phone call. Dolphins head coach Adam Gase knows Cutler from his time in Chicago. If there is someone who can get up to speed quicker than most, it would be someone who has played for him before. So—how’d he look? Did the Dolphins make a mistake? 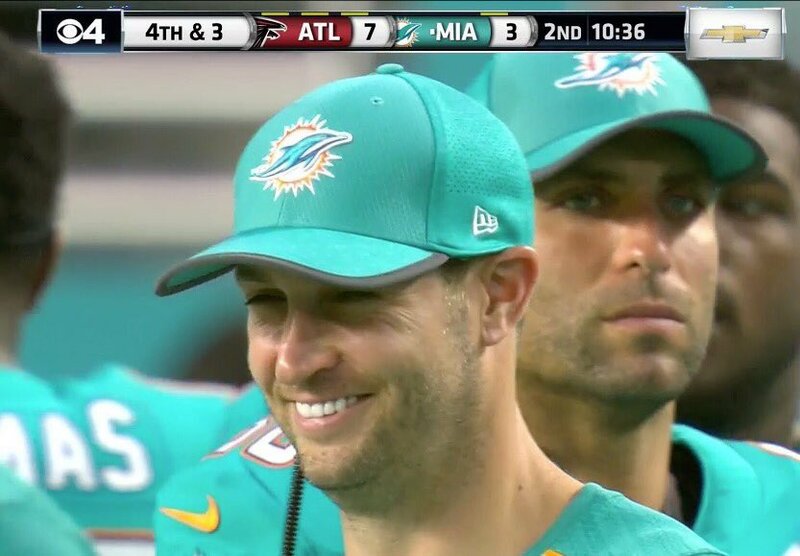 It’s only preseason, of course, so it will be hard to know for certain what the Dolphins have in Cutler. But we still learned a few things about players on both teams. For those who care about who won, the Ravens did, 31-7. Jay Cutler only played a little. He wasn’t perfect by any stretch of the imagination, but he did make some really good throws. Probably the best thing that can be said is that he didn’t stink and he survived taking a couple of hits. If the Dolphins are going to compete this year, they have to cut down on the stupid mistakes. Cutler’s numbers could have looked much better (3-6 for 24 yards), but some beautiful plays were called back due to penalties. Jay Ajayi, who has missed time in camp due to a concussion, played. He had some poor plays and some good ones. But like Cutler, the most important thing that can be said about him is that he too survived. Senorise Perry flashed some skill during the game (six carries for 25 yards and a touchdown). But he also fumbled a kick return. Miami’s special teams were good last season. 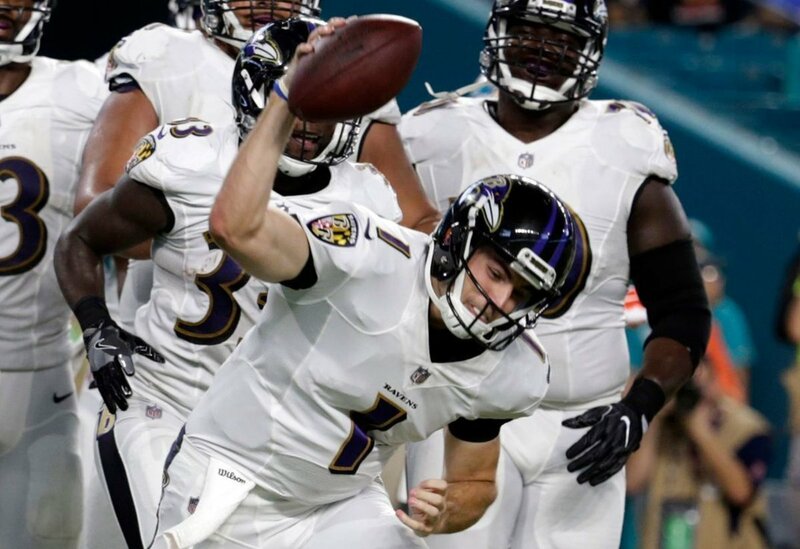 Against the Ravens, they fumbled a kick return, had a punt blocked, and made some costly penalties. Adam Gase will need to clean the special teams play up sooner rather than later. Joe Flacco is not going to play during the preseason which means the team is going to get a good look at what his No. 2—Ryan Mallett – can do. So far, it doesn’t appear like he can do much. Against the Dolphins, he was 13-22 for 113 yards, one touchdown, and two interceptions. But for some odd reason, Ravens head coach John Harbaugh is pleased with what he sees in Mallett. Baltimore is going to lean heavily on its passing game and defense again this season. Terrance West and Javorius Allen are okay, but when they are your best running back, you’re in trouble. With how Mallett has looked, it would be interesting to see what Josh Woodrum could do with the starters. He was 8-10 for 110 yards against the Dolphins and 4-4 for 85 yards and a touchdown against the Redskins. They know what they have in Mallett. They might as well give Woodrum a good look. Next up for the Ravens will be the Buffalo Bills (8/26 at 7 PM ET). The Dolphins will head to Philadelphia to take on the Eagles next Thursday at 7 PM ET.